Ikbal Ibrahim, our Project Director for Turkey was named today P World's 2016 Employee of the Year! Ikbal has been with us for three years and has helped us sucesfully expand our business in Turkey. Thanks to her incredible work ethic and winning attitude, P World is now the proud organizer of the largest international HR and PR events in Turkey. Our next event in the country is the Global PR Summit Istanbul 4, scheduled to take place from 16-17 February in Istanbul. 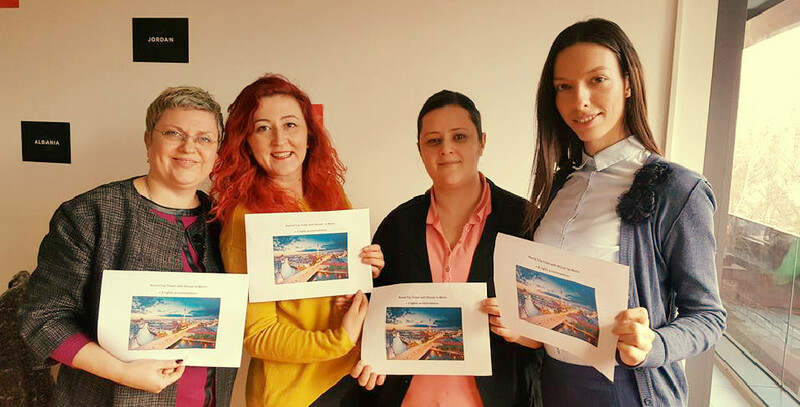 At today's meeting Irena Petar, our Global Sales Director was named P World's best Project Manager in 2016, followed by Ivana Stojanoska and Anna Nikaljevic for their amazing contribution to the success of our Global HR Summit Iran and the Marketing Kingdom Cairo 2.